It’s the trend that never goes out of fashion and one that’s endlessly elegant and surprisingly freeing because monochrome doesn’t just mean plain black and white, it embraces tonal shades of both to soften the look and avoid it feeling too stark or cold. 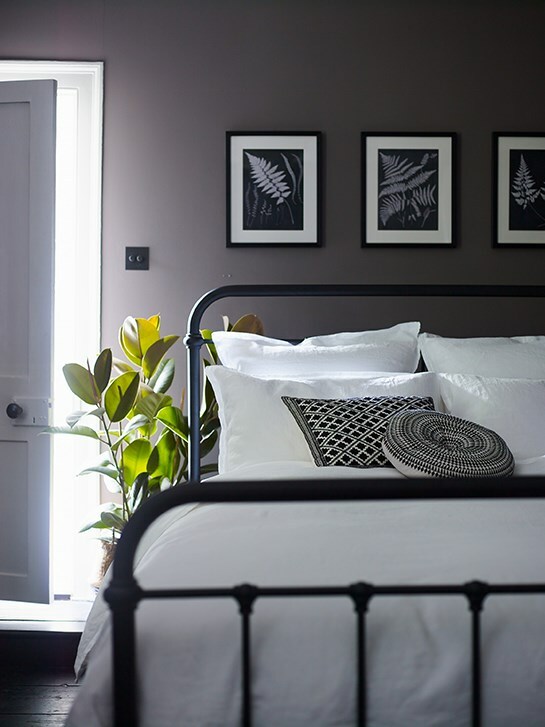 Despite the simple colour palette there are many style possibilities to explore too, but what’s key to making monochrome work is textural interest such as cushions and throws to create layers of warmth, which is particularly important for the bedroom. It’s an interior trend that is universally appreciated and it’s all there in black and white for the taking. Whilst monochrome can be a striking statement, it doesn’t mean it can’t be comfortable, and we love soft luxurious layers in every colour palette. Our best-selling, dorm style Oliver Bed in Matt Black is a key piece for our monochrome aesthetic. Teamed with sumptuously soft White Camille Ben Linen and our Diamond Monochrome Cushions casually scattered on the bed, you’ve got a soft and inviting monochrome bedroom waiting for you. 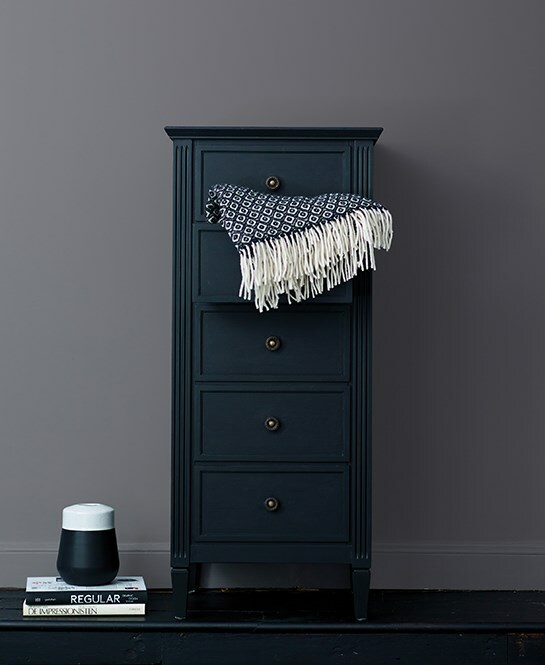 We adore the clean lines and elegant fluting of our Gustavian style Verona 5 Drawer Tall Chest in Matt Black. Crafted from solid oak, this chest of drawers provides perfect storage whilst also looking great. The matt black finish softens its appearance while still being a statement colour. Add textural interest with our beautifully soft Diamond Monochrome Wool Throw, detailed with an intricate geometric pattern and tactile tassels for some impact styling. Contrasting colour and textural detail are important elements in any well-styled bedroom. Our stunning Tenby Chair has plenty of character with it’s deep-buttoned back, weathered oak turned legs and sophisticated silhouette making it a great addition to your monochrome bedroom. 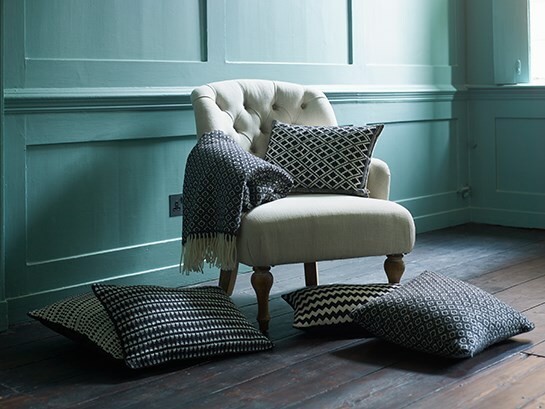 Create a cool colour contrast with eye-catching, geometric patterned cushions detailing diamonds, chevrons and stripes.